You didn't have to be alive in the 1970s to know how crazy they were. John Travolta was disco dancing in bellbottoms and shag was a desirable feature for a rug, not just something you did on it. Serious news from Watergate and the war in Vietnam heavily impacted, well, everything, but ultimately didn't put a damper on style. The cars reflected all of it, from garish excess to the automotive dark ages when the Oil Crisis and the advent of emissions standards combined to cause as much muscle-car agony as Burt Reynolds selling his beloved Bandit. Some of the cars below would be in the Automotive Hall of Fame if it actually inducted automobiles (but it doesn't, weird right?) and some of them are just gloriously tacky as hell. Either way, they're the 1970s-est cars of the 1970s. The Blackhawk basically is the 1970s wrapped up in a single car. It cost slightly more than a Lamborghini Miura, but what you got was a body that was hand-built in Turin, Italy, more than 15 coats of paint, gold-plated trim to go with shag carpeting, and your name engraved on a plate on the dash. It was a hit among the celebrity crowd -- postwar Elvis, Willie Nelson, Lucille Ball, George Foreman, and a host of others all bought one. 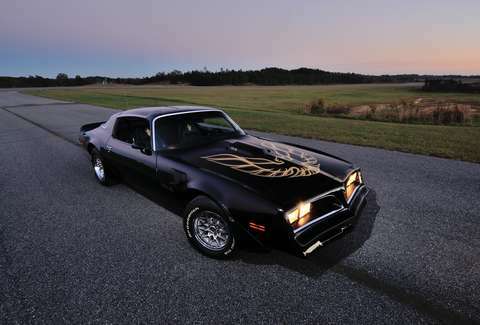 The Firebird's brash styling -- c'mon, you could get it with a freakin' bird painted on the hood -- is enough to get it on this list, but the car's biggest contribution to American culture was called the Black Special Edition. 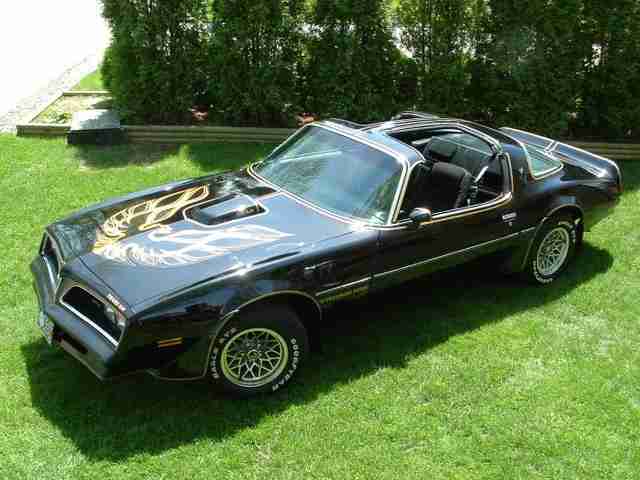 Of course, most people just call it the Bandit car today. True beauty is timeless, but most things that seem shockingly futuristic for their day tend to age badly. 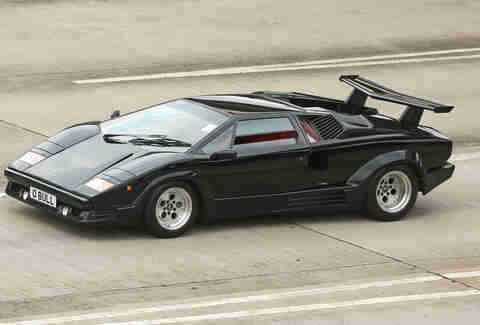 The Countach somehow looks just as crazy today as it did in 1974, which is why it stayed at highest level of poster-car status throughout both the '70s and the 1980s. 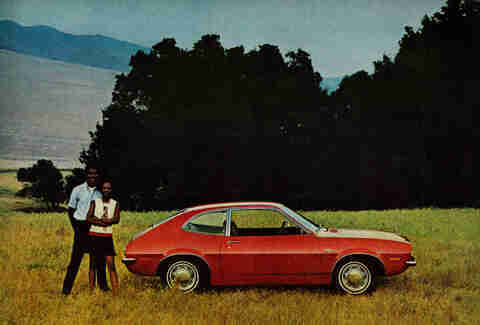 Quick: what's the first thing that comes to mind when you think of the Ford Pinto? People dying in fires, right? The simple truth is that yeah, the car had a couple of issues that caused fires, but statistically speaking, it wasn't much worse than other cars of the day. The real problem -- aside from the deaths and injuries, of course -- was how Ford dealt with it. Rather than simply recalling the cars, it studied the likely costs of every lawsuit expected. If that sounds familiar, that's because Edward Norton's job description in Fight Club was a very clear reference to what became known as the Pinto Memo. Vinyl roofs technically had a very long life, spanning most of the 20th century and even into the 21st, but in the 1970s they reached critical mass. While not every car came with one, it certainly felt like it. Today it seems obvious that certain cars shouldn't have design elements requiring regular Armor All use, but not even Mustangs or European sedans were spared in the vinyl-addicted '70s. 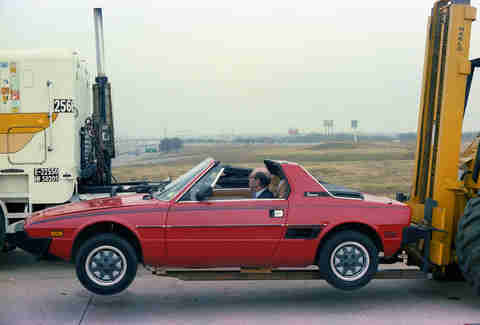 The Stratos might be a rolling piece of Italian automotive art, but it's also very literally all business. 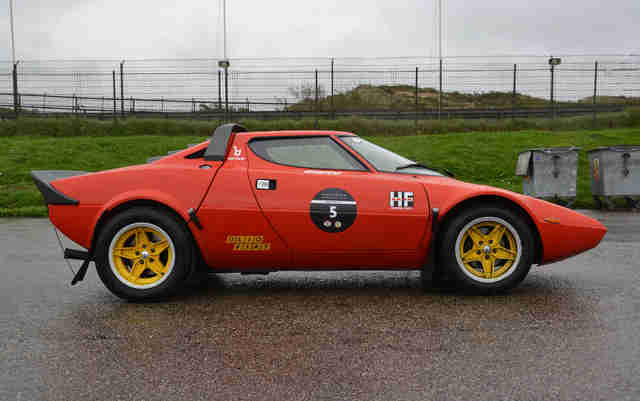 As the story goes, the concept rally car that led to the Stratos was penned by Italian design powerhouse Bertone specifically to woo Lancia, with whom Bertone had never worked. The pitch was a hit -- duh -- and the resulting Ferrari Dino-engined supercar went on to claim a World Rally Championship three-peat, then drove right back into the dust from whence it came. 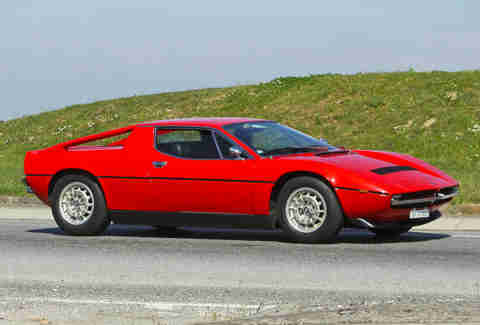 Designed by the same man as the aforementioned Stratos -- incidentally, Marcello Gandini also designed the DeTomaso Pantera and both the Lamborghini Countach and Miura, among many, many others -- the X1/9 was a lightweight car that went toe to toe with the likes of Porsche's 914. It had all of 61hp, but because it weighed down around 2,000lb, the handling was more than enough to make up for the lack of grunt. Basically, it was Fiat doing cheap cars right -- when new in 1974, it cost just a smidge more than a well-equipped Mustang II. The Bricklin SV-1 (Safety Vehicle 1) is the eponymous vision of the man who also brought Subaru and Yugo to the United States. 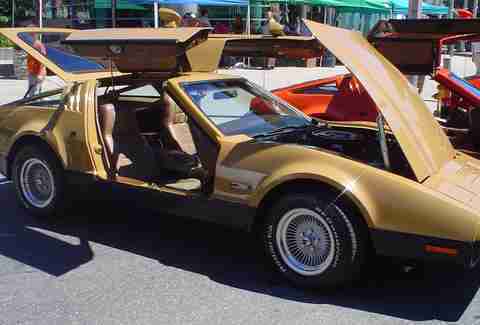 The basic idea was to make an ultra-safe vehicle that was also capable of seriously high performance, but given the actual quality, it's seems more likely that Bricklin himself was seriously high. In theory, a fiberglass-bodied car with self-lifting gull wing doors and, depending on the year, either a Ford or an AMC V8 is great. In reality, the fiberglass cracked, the engines frequently overheated, and the car was even more of a disaster than the similarly optimistic DeLorean. 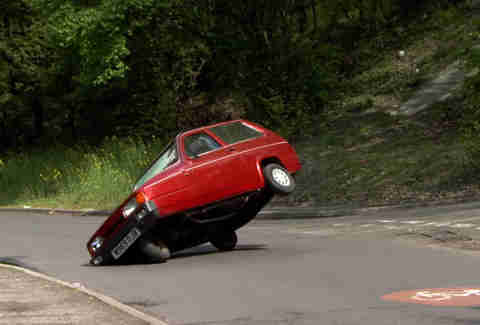 It's all too easy to make fun of the hilariously unstable Robin, and frankly no one aside from Robin owners get tired of watching a car flip over with little more than a brisk tug on the steering wheel. In reality, the three-wheeler had so little in common with real cars that for decades "drivers" only needed a motorcycle license. For the past few decades, the Mustang II has been little more than an asterisk in the history books. Mustang enthusiasts point to the fact that it shared a chassis with the also unloved Pinto, and the fact that you couldn't get one with a V8 for the first year of its production was reason enough to wipe their collective memory (by year two, the V8 was back). And yet, it boasted an increasingly garish array of style packages, and gave birth to the notion of calling a Mustang a "5.0" on its way to a seriously strong sales record. 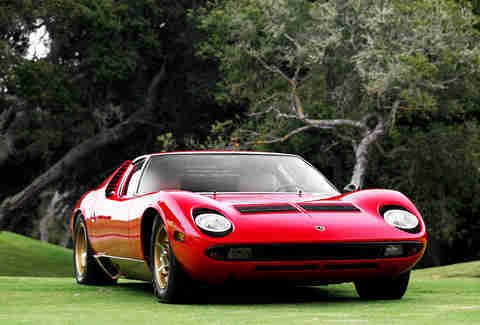 Very few cars are ever granted a level of patriarchal status frequently afforded to the Miura. Designed in the late 1960s, it owned the early '70s as the unofficial car of the Rat Pack, not to mention as the car of choice for guys like Rod Stewart and Miles Davis. And of course, it was the star of one of the greatest openings in film history. The number of options on a Gremlin was actually quite impressive. 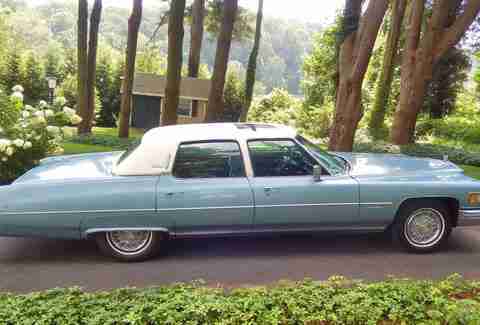 Buyers had a choice of two seats or four and whether to spring for the vinyl top. Ultimately, AMC ran into stiff competition from both the Ford Pinto and Chevy Vega -- not just in terms of sales, but also in its reputation for overall awfulness. 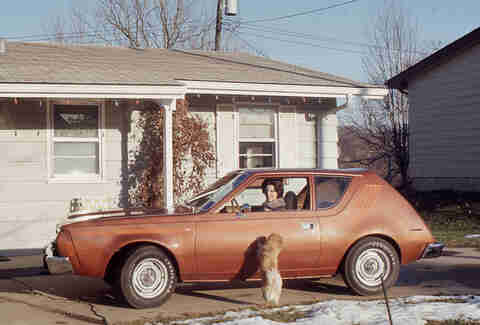 In truth, the Gremlin was what you'd expect an economy car to be, and wasn't as bad as its reputation. Unless you fed it after midnight. The Maserati Bora was one of the cooler cars of the 1970s, and Maserati's attempt to capitalize on that resulted in one of those cars that just didn't add up to the sum of its parts. The wild, open-flying buttresses in back are no doubt cool, but underneath the skin, the four-seat Merak was comprised of equal parts Bora and repurposed components, including the modified V6 engine. 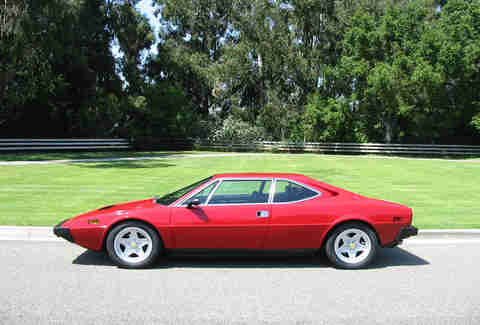 The luxurious Ferrari, the grand touring Ferrari is probably the one that looks the least like a Ferrari. And in fact it wasn't technically a Ferrari at first, produced under the Dino name that Ferrari assigned to his smaller-engined cars, named after his dead son. Regardless, it's a car that's really practical for what it is, and at the same time, a bit of a stylistic enigma. That's kinda the 1970s in a nutshell, when you really think about it. 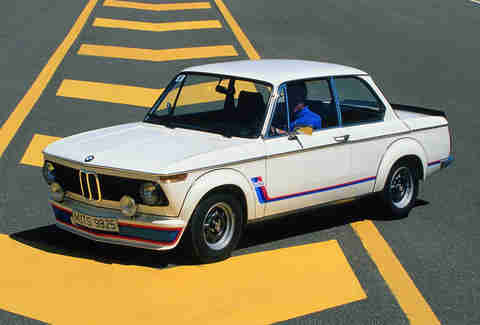 As the ultimate incarnation of BMW's "New Class" vehicles, the 2002 Turbo was the first European turbocharged passenger car. 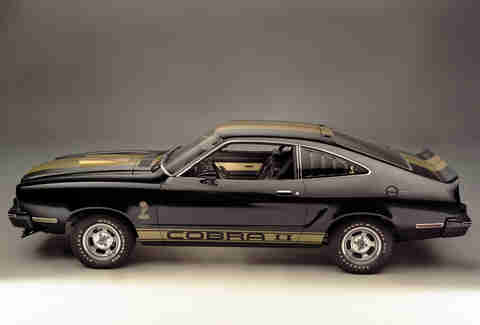 It beat the Porsche 911 Turbo to the market by a year, and though it wasn't the first turbocharged car in the world (the Oldsmobile Jetfire and Corvair Monza briefly ran them in the early '60s), it kicked open the door to the turbo world, and helped transform the word into a euphemism for performance. Aaron Miller is the Cars editor for Thrillist, and can be found on Twitter. He'd be down for taking several of these cars home if he grabbed their keys out of a bowl.